So you have decided, or are still considering, working with a running coach. Great! Run coaches are not one size fits all, though. There are the worlds greatest coaches and they still won’t be the right fit for everybody. I am following up yesterday’s post Why YOU could benefit from a running coach! with information on some basic coaching options available. This is not a comprehensive list by any means, but a general idea of what is available. The first thing I think you should look at is what kind of coach you think you need. This will vary greatly per individuals time limitations, location, motivation, cost and more. One-on-one coaching- This is going to be the most intense and most collaborative type of coaching. It will also be the most time consuming and expensive. You are paying for a coach to develop your training plan and then execute with you for some or all of your workouts. Small Group- If you were a part of a Track or Cross Country team, this would be similar format. 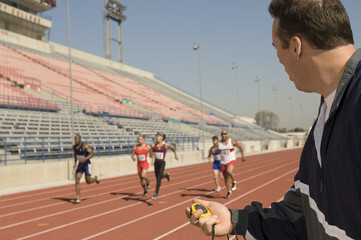 The coach would organize practices and runs for not only you, but also for other runners in the group. The great thing about this is you usually have built in running buddies and you can get most of the same benefits as a one-on-one coaching package while saving money. The time is often a bit more restrictive as you are obviously, stuck with what the group/coach has scheduled. This is really a great option for runners who need coaching beyond just the run schedule. As the coach can walk the group through all of the components of a good training plan. Drills, strides, dynamic stretching, strength training. Online Coaching- This has really been where the coaching field has grown. The general idea is that your coach uploads your workouts and then you complete them. 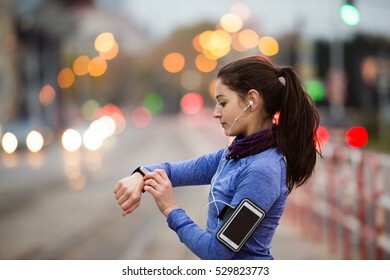 If you have a watch paired with coaching apps, such as the VDOT training app, then your coach gets all of the information from your GPS watch. Giving the coach great details on how the workout went. Most of the apps (VDOT included) have places to include coaches notes, feedback and ratings on how the workout went. Coaches can add and modify the workouts as needed. This really allows the coach to take into consideration your needs, schedule and feedback in as they work with you similar to a one-on-one program. The best part is the flexibility you have as the runner. As a runner, I prefer working with coaches in this manner. It only works if you are motivated to complete the workouts as the coach is not there to guide you during the workout. Customized coaching plans- This is usually done through a one time consultation. The coach creates a unique training plan based on your individual history,schedule and needs and then uploads in into the app. From their you complete the workouts and modify on your own. This is a great budget friend option, that allows motivated runners the chance to work with certified coaches without the daily/weekly check-ins and modifications. There are definite positives and negatives to each and coaching plan. What works best for one runner may be completely wrong for another. Looking at each option and being realistic about your training ability, time restrictions, motivation levels and communication needs will help direct you to the right option. Tomorrow I will be sharing tips on finding coaches and narrowing down the list to the one that meets YOUR needs. Make sure you subscribe so you can be updated! Previous postWhy YOU could benefit from a running coach!